Tuesday was my dad’s birthday – he would have been 72. He was quite a chronicler and wrote many cards, notes, and letters over the years. Some of my most cherished possessions are letters my dad wrote to me during difficult moments of life and ministry. Some of his words were hard to take but they were generally spot on. On this week of his birthday, my blog post is one of those letters. After his death we found several things he had written to or for us. Most were things we hadn’t seen. He clearly wrote them for us to see later. 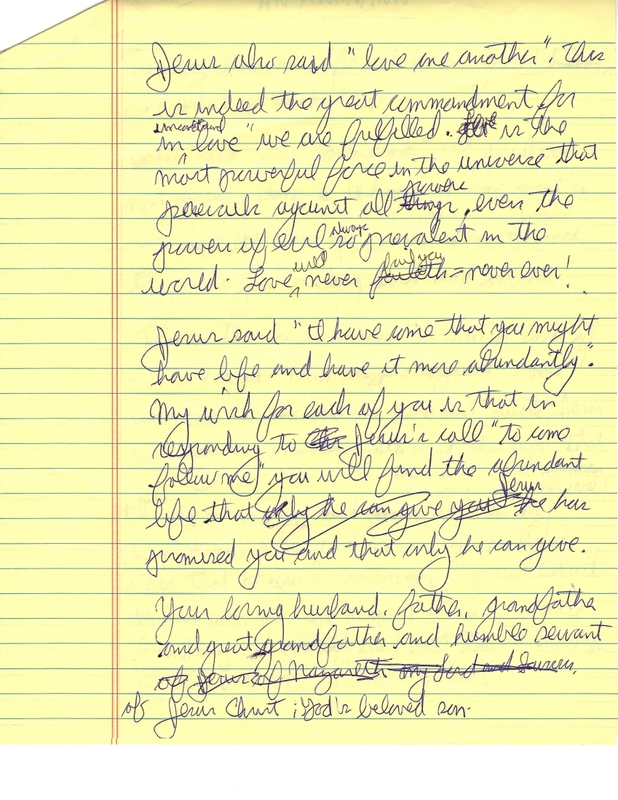 Among them was this two page letter entitled “An Invitation.” It is a scan of the actual letter and it has things crossed out and his handwriting was pretty bad as well. But worth puzzling out the writing for the message he wished to leave. 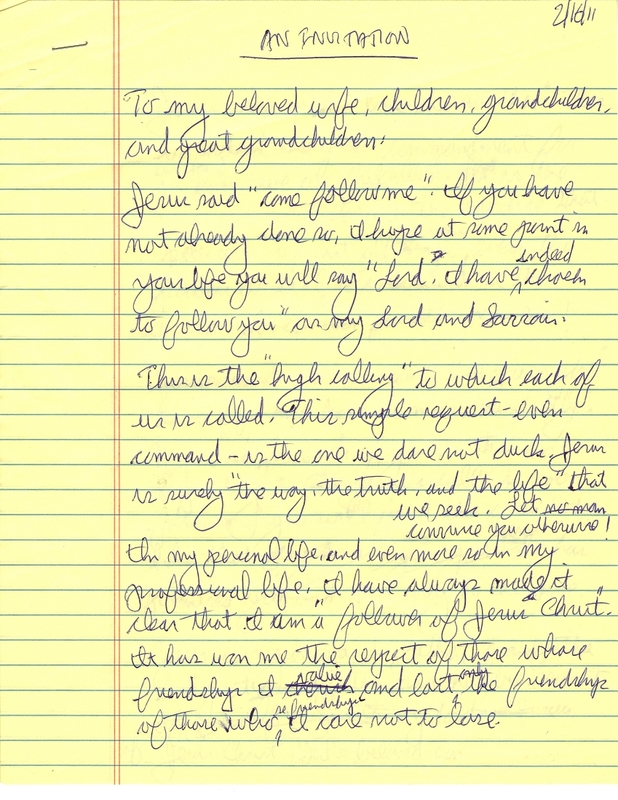 He wrote this on February 16, 2011 and died on May 11, 2011 so this was among the last things he wrote to any of us even though it was his death that caused us to see it for the first time.